Skipping Reels Of Rhyme: Isle Of Wight 1969 line recording? Isle Of Wight 1969 line recording? 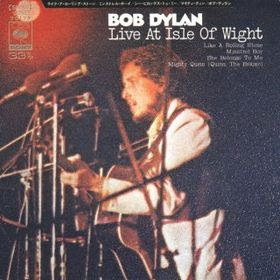 One of the first official releases of any Bob Dylan concert came in the form of the Isle Of Wight tracks included on 'Self Portrait' in 1969. Nothing else has ever surfaced from this recording - that's 42 years and counting! Does this exist in Columbia's vaults? Or in some private collection somewhere...? There is absolutely no recording information about this show available. We've all seen the photos of Bob Dylan surrounded by a multitude of microphones (recording from the soundboard)...obviously there was more than one recording going on there, but apart from the audience recordings nothing has ever surfaced. Presumably, Glyn Johns was involved in the recording since he's creditied with engineering on Self Portrait, and is obviously the only Englishmman credited on the album.